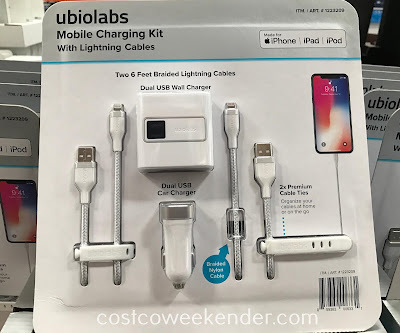 I always seem to lose the charging cable for my iPhone. So it's time to stock up with the Ubio Labs Mobile Charging Kit with Lightning Cables from Costco. Since each of the cables is 6 feet long, you'll have plenty of length that you can place your phone on a table, nightstand or anywere without needing to be too close to the power outlet. 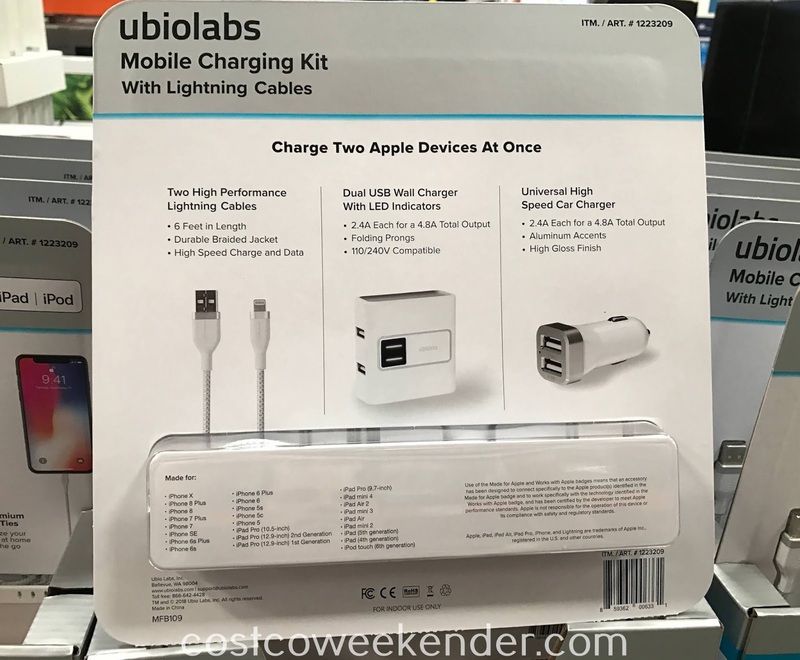 The included dual USB wall charger and dual USB car charger can also be used with standard USB/micro USB cables that you would use to power non-iPhone devices like a Samsung tablet or a Google Pixel phone. But the Ubiolabs Mobile Charging Kit was really designed for Apple devices like the iPhone X, iPhone 8 Plus, iPhone 8, iPhone 7 Plus, iPhone 7, and more! 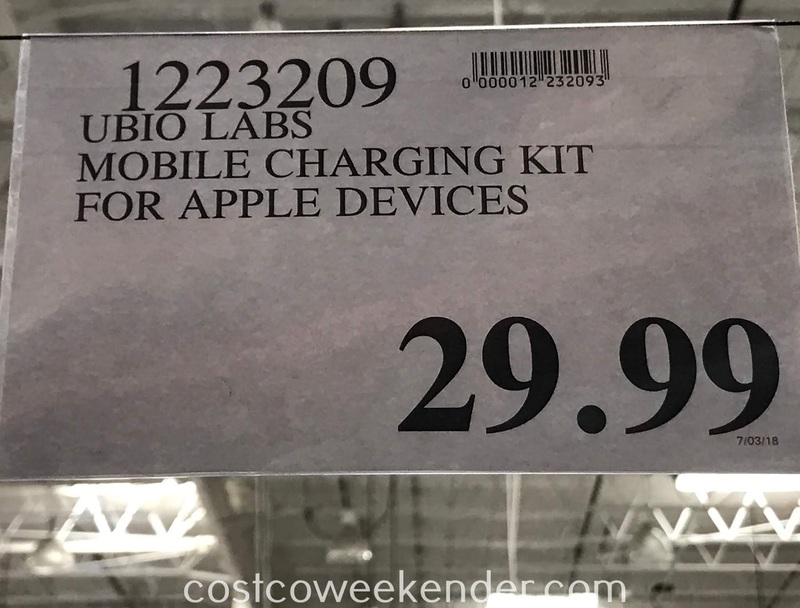 The Ubio Labs Mobile Charging Kit with Lightning Cables comes with everything you need, so that you'll always have enough power to check your email, read the day's news, see what's trending on Twitter, play Pokemon Go, or just browse the web.